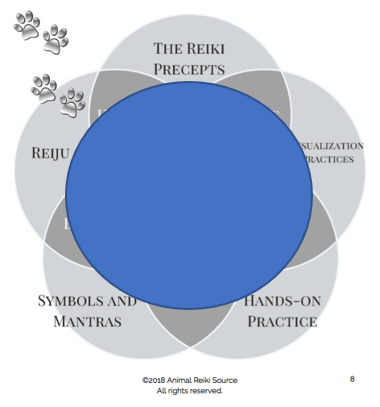 I am currently a practicing Reiki Master learning the “Let Animals Lead” incredible method of Animal Reiki with Kathleen Prasad. 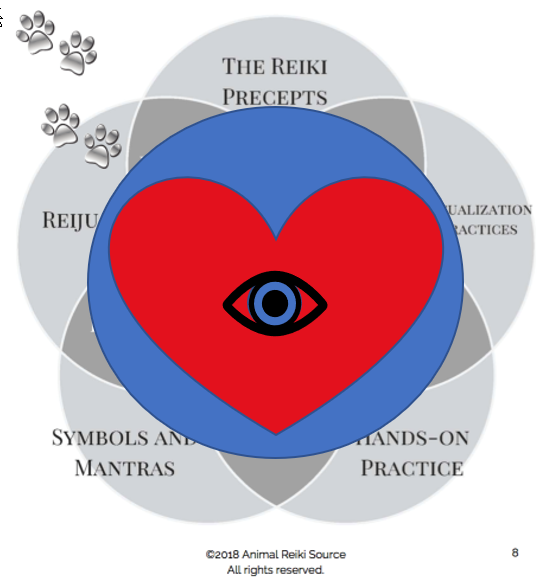 In our Reiki II Class we were given the homework exercise of contemplating “The Gifts of Reiki” diagram (above). My background until quite recently was in the engineering field so I naturally gravitated toward contemplating this from an intellectual perspective, breaking the diagram into the following three categories: 1.) The Mind, 2.) The Heart and 3.) The Intuition or what I will refer to as our “Inner Knowing.” Beginning with the mind we will work our way inward with the practice of meditation, navigating through the heart space, and finally arriving at our “inner knowing” or intuitive core. 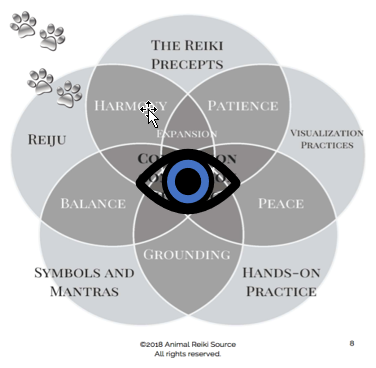 This outer layer involves the mind and utilizes structure to provide a framework whereby an individual may grasp the meaning or the mechanics of applying or practicing Reiki. Without going deeper into experientially understanding the “feelings” associated with these practices, or even deeper into our experience of “inner knowing” these would represent only an empty shell of meaningless ritual. Thus through the practice of meditation we go deeper within to the literal heart of the matter. When a student learns the framework or “ritual” of a given practice they are accepting someone else’s knowledge and experience and trusting the end result will eventually yield a deeper understanding and reveal this currently hidden knowledge. Until we go deeper into our meditation practice and actually experience the “feelings” we are only accepting “dogma” at face value. It is in the experiencing of these feelings in our heart space that then makes the learning real for us, bringing us deeper into our own core understanding. This brings us home to ourselves and opens the door to the potential of our practice blossoming into certainty or revealing itself to us as that sense of conviction or “inner knowing”. Once we “feel” this there is no going back to trusting dogma, only our own hearts. This is real learning. 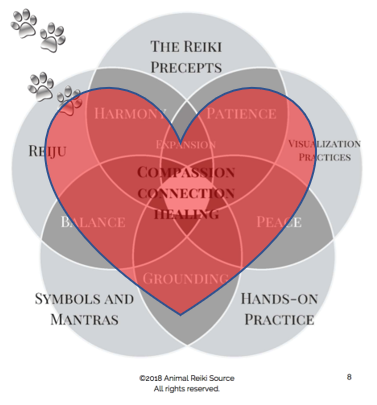 Once we have gone deeper into our practice to be able to experience these feelings in our heart space, we have then passed through the process of merely intellectualizing ritual to deep understanding and heartfelt connection to these feelings resulting in compassion, connection and healing. It is only in the manifestation of what we know in our hearts to be true that we can finally realize an inner sense of certainty and conviction. This is our intuition or inner knowing telling us that having gone deep within, through the process of meditation and touching that still core of being, having experientially “felt” this harmony, expansion, patience, peace, grounding and balance can we now go forth and practice what we “know” to be true on an experiential rather than intellectual level.